Microsoft and CBS Interactive have agreed to enter an extensive multinational syndication partnership covering PC, mobile and tablet search in the United States, the United Kingdom, Canada, Spain, Mexico, Germany and France. CBS Interactive, a division of CBS Corporation, is the world’s largest publisher of premium digital content. Bing provides algorithmic organic search results and paid search ads for various CBS Interactive properties, such as CNET.com, Download.com and Mysimon.com. For marketers looking to drive connections for their brands with the right people at the right time, CBS Interactive’s high-quality audience is a valuable addition to the Bing network. CBS Interactive brands span popular categories in entertainment, sports, news, technology and gaming. With more than 300 million people visiting its properties each month, CBS Interactive is a top 10 Web property globally. With more than 300 million people visiting its properties each month, CBS Interactive is a top 10 Web property globally. 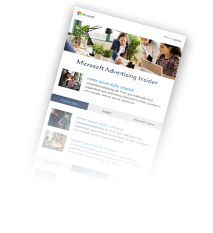 The partnership, which offers additional opportunities for advertisers to connect with the right audiences in seven multinational markets, including the U.S., is a further testament to the global scale and reach available to advertisers on the Bing Network. This new audience pushes Bing into a greater portion of highly-coveted advertiser demographics, as nearly 60% of CBS Interactive users are under 45 and more than 40% of users have a household income of $100,000 or more. CBS Interactive will help drive a spike in mobile Bing Network searches, with 70% of search volume on CBS Interactive properties coming from mobile devices. As part of the arrangement, Bing Ads is now the exclusive provider of search services for some CBS Interactive sites, including: Store.com, ZDsearch.com, Findarticles.com and Searchnow.com. Bing will also provide search solutions for properties like CNET.com, MySimon.com and Search.com.